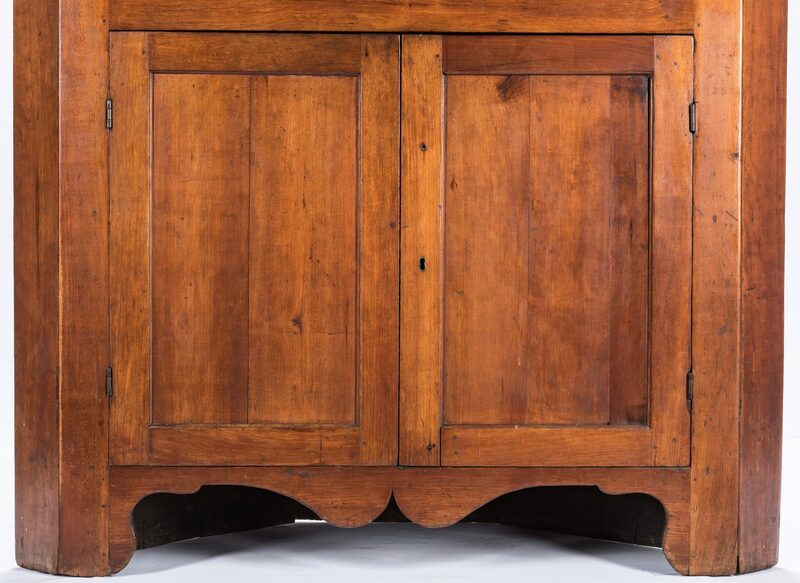 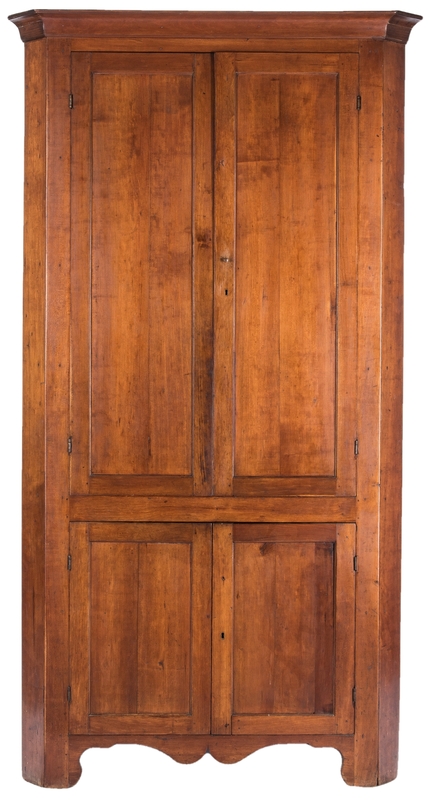 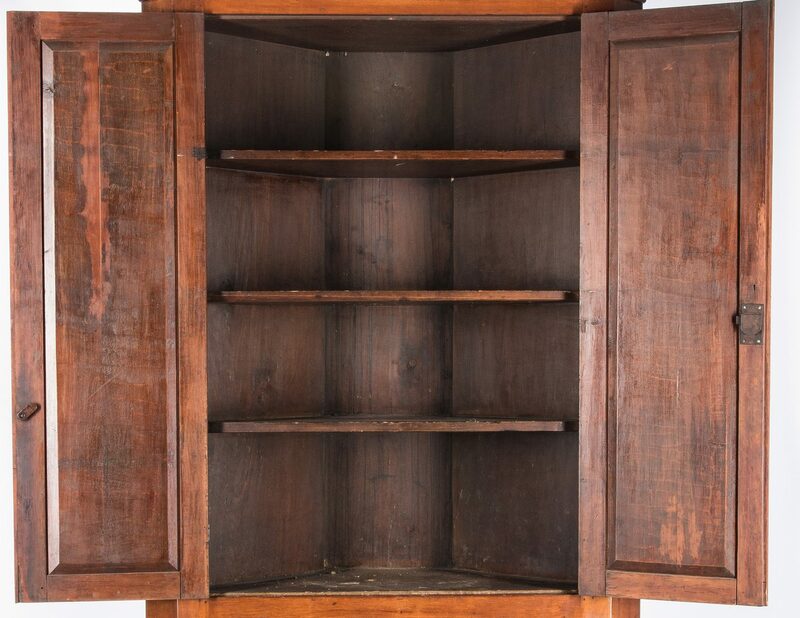 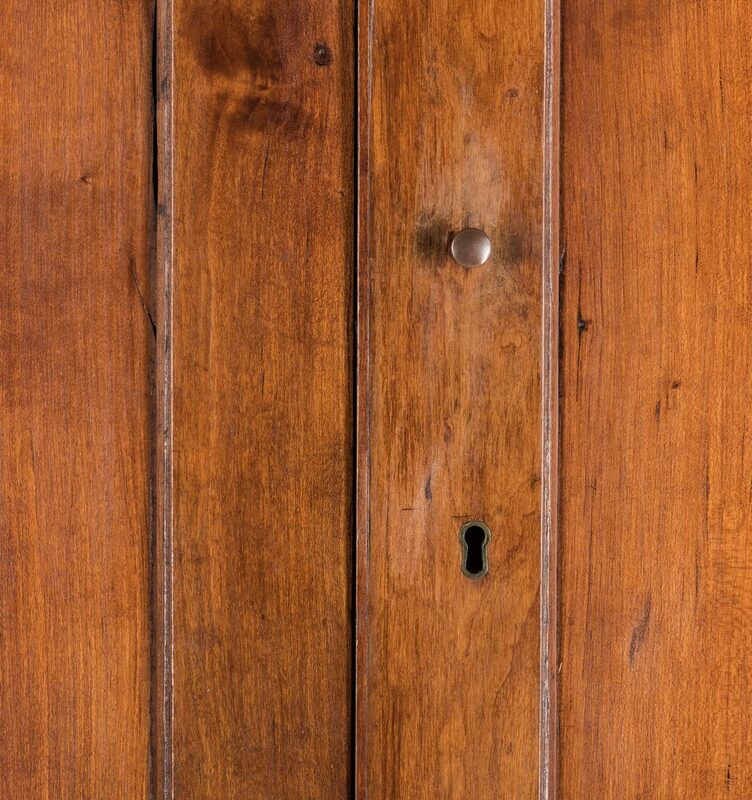 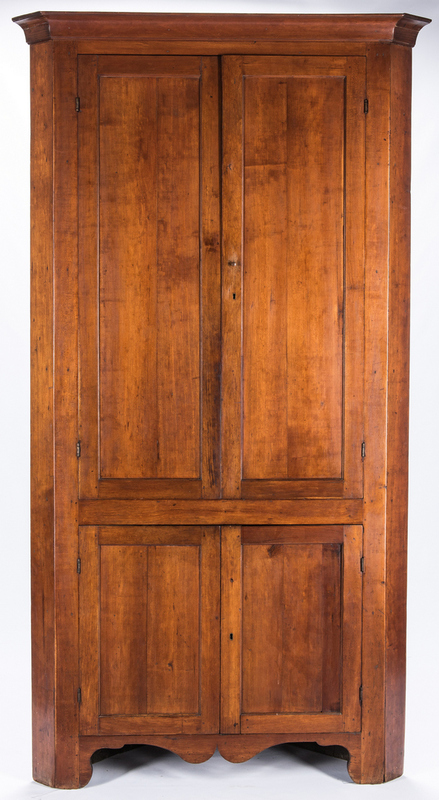 Sheraton cherry corner cupboard, poplar secondary, attributed to Middle Tennessee. 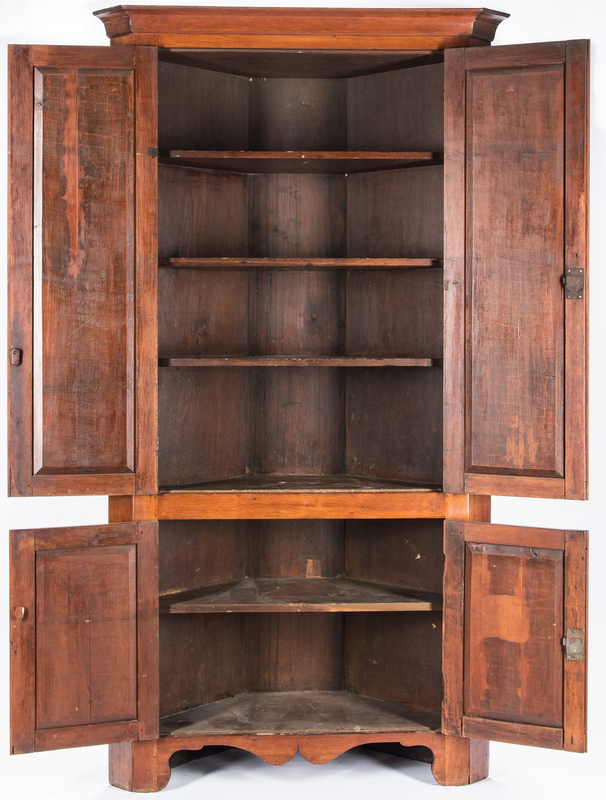 Single case construction with ogee cornice, canted sides, two paneled upper doors enclosing three shelves over two paneled lower doors enclosing one shelf. 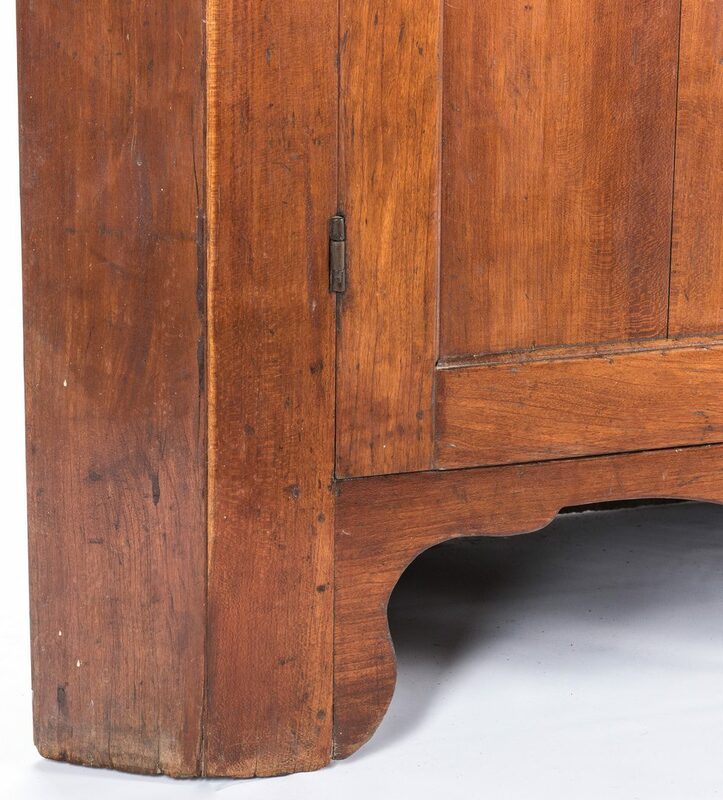 Shaped skirt and shaped bracket foot base. 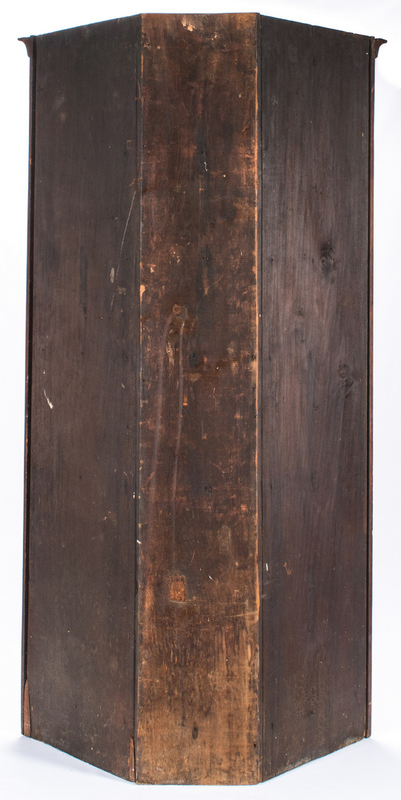 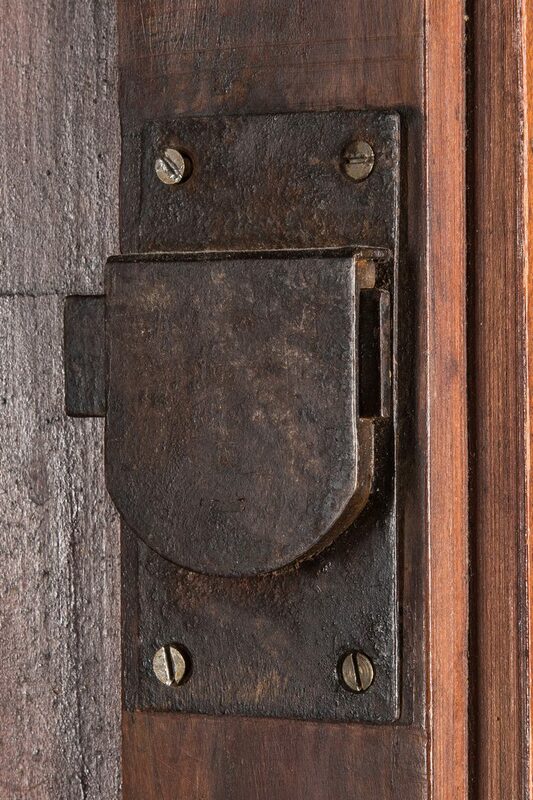 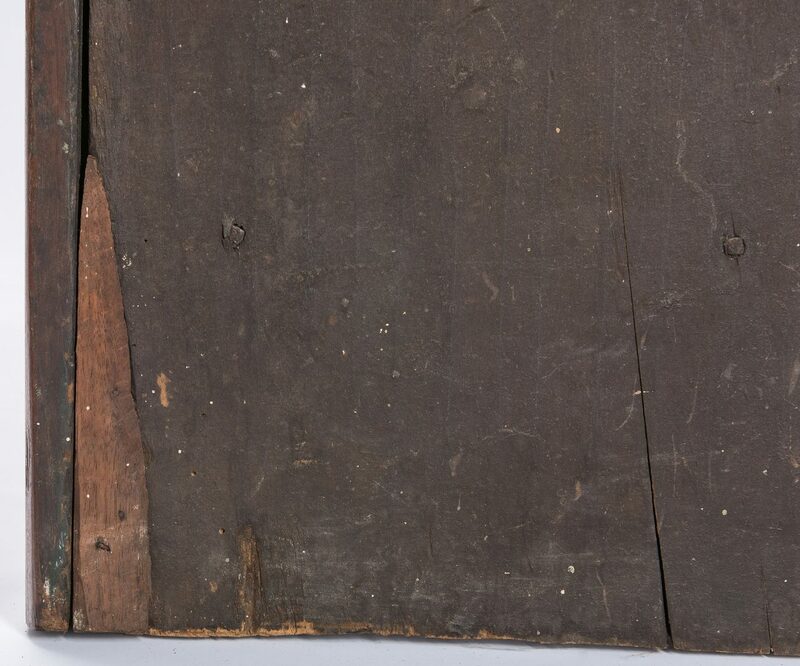 89 3/4" H x 45 1/2" W x 18" D. Circa 1825. 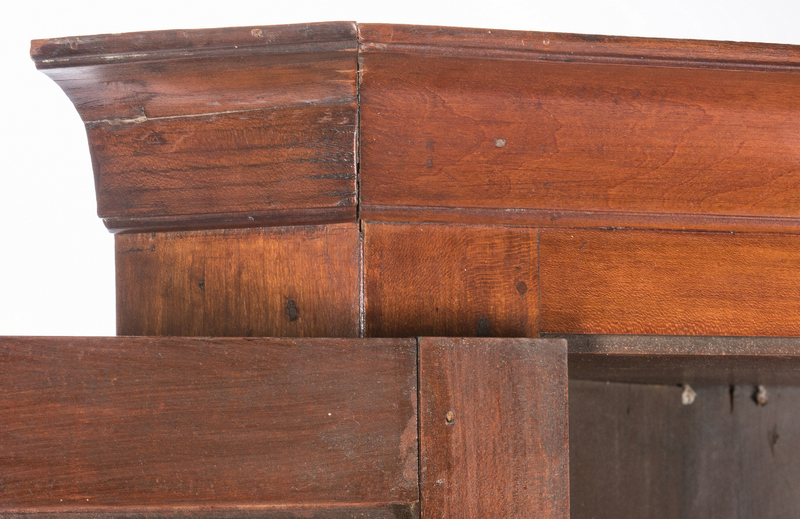 Provenance: the collection of Hank and Mary Brockman, Franklin, TN; acquired from Robert Hicks, Franklin, TN. 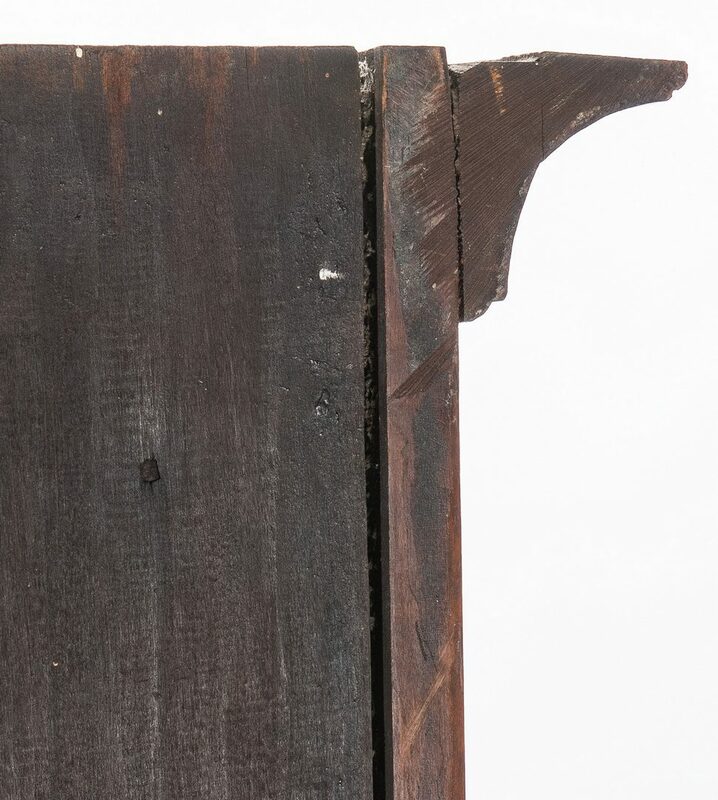 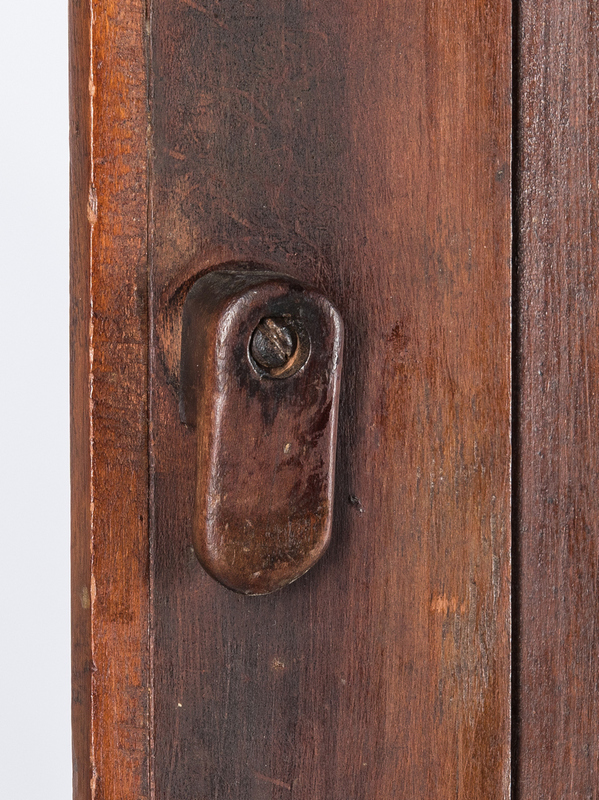 CONDITION: Older refinish, repair to side of cornice; narrow wedge shaped replacement to lower edge of one back board, overall very good condition.